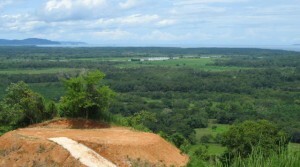 Large land parcels over five acres to hundreds of acres in Costa Rica. 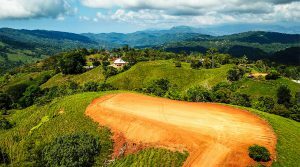 This is the place for land developers, farmers, and real estate investors. 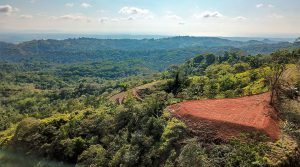 This land parcel spans 10.5 acres and has a .5 acre building site. The land can be used for farming and/or raising cattle and horses. The building site has ASADA water, and electrical for immediate building. 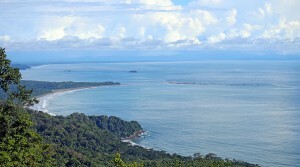 Sitting at 1500 ft in elevation the views stretch all the way to the beaches of Manuel Antonio and include the Diamante Waterfall. MASSIVE PRICE REDUCTION! 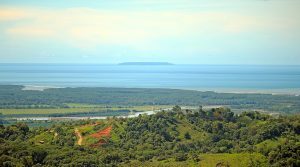 The Monte Vista farm consists of 150 acres of prime ocean view real estate located just south of Ojochal. The land parcel was subdivided with 33 home sites available and all titles and S.A. corporations are completed. This is a turn-key development, a great investment opportunity, and priced to move. This 7.28-acre development with highway frontage and within walking distance to Hermosa Beach has been zoned for 23 homes, a condo tower, and 2 retail businesses. Save years of time with a property that includes a water supply, paved roads, underground electric, and a sewage treatment system. Move in ready home also included. 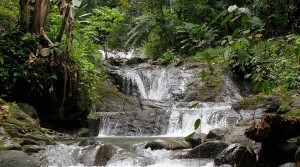 Spanning 212 acres, there is so much to enjoy with this waterfall lovers paradise. 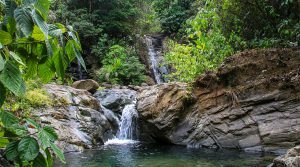 Planted with organic fruiting trees, flat building sites, tons of wildlife and multiple year-round flowing waterfalls, this is the perfect location for an eco-tourism retreat. 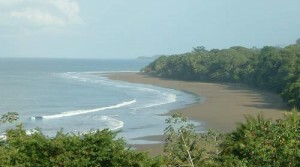 Electric service is nearby and easy access to Playa Linda (approx 30-minutes away). 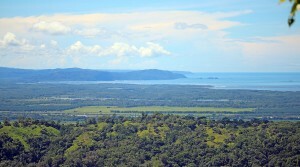 314 acre ocean view farm comprised of rolling hills, secondary forest, and beautiful rivers that run through the property. 35 land parcel segregations completed and ready to sell. A well is permitted for drilling with electricity running to a graded 3.7 km internal road and bridges. The seller is motivated to sell and is open to interesting offers. 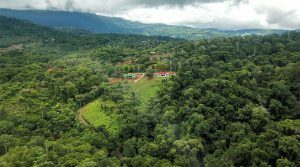 The property borders 700 meters along the Coastal Highway and sits exactly on the 200-meter title line, making it as close to the ocean as you can be in Southern Costa Rica while still on titled land. 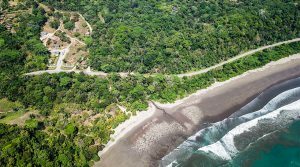 This is an unbelievable opportunity to pick up one of the last premier pieces of land available on Costa Rica’s Southern Pacific Coast!